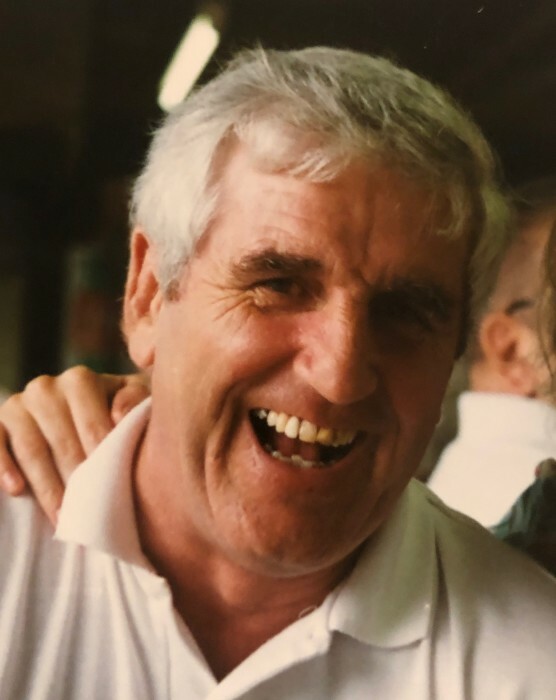 Waterbury - Joseph Thomas Griffin, 78, passed away peacefully on Monday, November 19, after several courageous battles with cancer, surrounded by the people he loved most in the world and listening to beautiful music that made him happy. Joe was born March 25, 1940 in Waterbury, the son of Thomas and Mary (Tata) Griffin. He was a 1958 graduate of Crosby High School and attended Siena College in Loudonville, New York. He married Judy Miller in 1962 in Waterbury and started their life together in New Haven. Business opportunities brought them to Massachusetts, where they raised their family for many years in Lynnfield and Norwood, until life brought them back to Waterbury in 1983. Joe retired after a long career in sales and bookkeeping. He more recently enjoyed the years he spent working at East Mountain Golf Course. His community and friends at East Mountain were a highlight of his life, as were his setback league championships there and at The Cave on East Main Street. Joe possessed a sincere giving nature, was an outstanding satirist, loved to laugh, and was a splendid storyteller. His boundless sense of humor was sometimes inappropriate, but always funny. Not surprisingly, Joe found many wonderful like-minded people in his hometown and he was very happy to spend his years here, along with his sister Betty, as THE biggest supporters of the UConn Women’s Basketball team. Joe is survived by his former wife, Judy, and his children: Katherine (Katie) Alitz and her husband Jeffrey of Charlestown, MA; Brendan and his wife Traci of Middlebury; Kerri Jewkes and her partner Kevin Mulkern of Mansfield, MA; and last but not least, Courtney Krupinsky and her husband Paul of Westwood, MA. He is also survived by 7 grandchildren that he adored: Halle and Henry Alitz; Justin and Tess Griffin; Molly and James Jewkes; and last but not least, Owen B. Krupinsky. Joe is further survived by his brother Patrick, his sisters-in-law Isabelle (Vincent), Margaret (Robert), Paula (Richard) and Donna (Brian) Griffin, and nieces, nephews and lifelong friends too numerous to count but much loved. In addition to his parents, Joe was pre-deceased by ten tightly knit siblings John, Thomas (Bud), Vincent, Edward, Mary Jane, Robert, Richard, Elizabeth (Betty), James and Brian. Joe’s family would like to thank Autumn Lake at Buck’s Hill and Hartford Healthcare’s Hospice staff for their wonderful and attentive care, which brought Joe great comfort. Special thanks also go out to Joe’s nieces Colleen Griffin, Carol Griffin and Lisa O’Donnell for all of the help they gave Joe over these last few years. Calling hours are Friday, November 30, from 4:00 P.M. to 7:00 P.M. at the Bergin Funeral Home 290 East Main St. Waterbury. A funeral service will be held on Saturday, December 1, at 10:30 A.M. at St. John’s Parish, on the Green, 16 Church St. Waterbury. Burial will be private.